Cynthia Snell I am re-activating that this deal works as described. Just type the promo code AMBER10 into the promotion code box and click apply to enjoy the promotion. Some exclusions may apply. 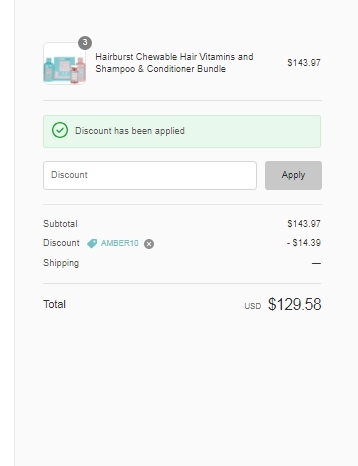 Gabriela Pinto This deal is currently active and working as described, Add products to your cart and paste the code at checkout to save 10% off your next purchase at Hairburst. 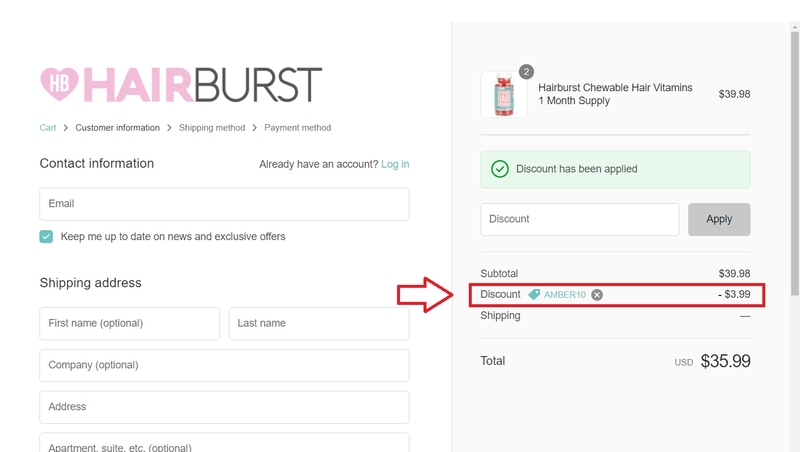 Juan Luis During checkout use coupon code <amber10> to get 10% off your next purchase at Hairburst. This is a limited time offer. Certain conditions may apply.